I am now looking for backups in case this happens again. I'll bring along the necessary tools and parts now, but I don't want to drag another monster head with me to every show. What kind of lunchbox style head might be closest in tone to the RV50? I know I'm not going to get the same tones, just looking for a "orange" tone alternative in a very light package. I am eyeballing the PRS MT-15, its definitely different in tone/gain. I am also considering a modeller. Micro Terror, Micro Dark, Tiny Terror, Dark Terror, Jim Root #4 Terror, Rocker Terror, Dual Terror, OR15... am I missing any? Are any of those above closer in gain/tone to the RV50 than others? The dual terror doesn’t have an FX loop. 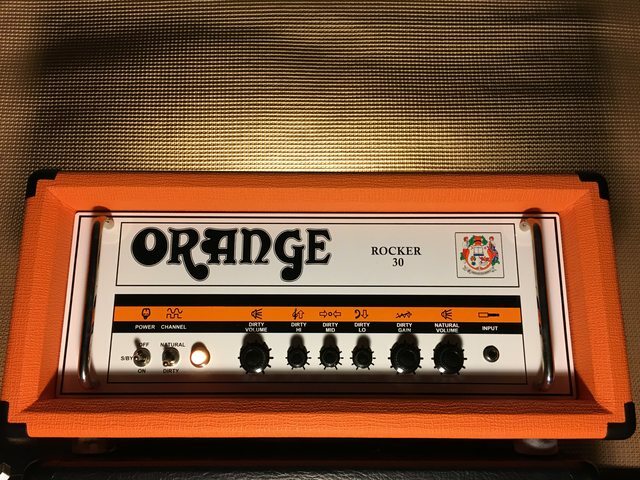 The Rocker Terror 15 does as does the Brent Hinds. I’ve owned both and preferred the Rocker more. I’m considering selling it as I have to many amps that I play more. The terror #4 Jim Root is based on the RV dirty channel. Single channel though. Otherwise, the Rocker 15 terror wouod be my pick. Orange, but slightly different flavour, and same feature (clean + dirty channel + fx loop). Otherwise, the Orange bax bangeetar could help? Agaun, based on the RV, that pedal us meant to be a preamp and should be capable of sorting you out in a tight spot... I've never tried it though. I'd highly recommend the RockerTerror 15 ...I was a bit dubious of the rocker 15 amps when they came out as many were, but since buying one it's excellent. The voicing is a little different to the RV, voiced for classic rock , less gain and less compressed than the RV which in my view cuts through a band mix easier. The natural channel has no eq but sounds good... Assuming your guitar sounds good on a clean setting ........although starts to crunch up when the volume is after 12 o'clock. I got mine as a backup to my ad30htc but find I'm using mine as the main amp at small to medium size gigs.I don't know use effects loops but using delay and chorus through the front of the amps as well as boosts on a couple of songs works well on the natural channel and dirty channel when the gain is crunchy under 12 o'clock. It responds very well to picking dynamics. I have never got along with PRS Guitars and Mark Tremonti is not my cup of tea but I recently tried out the PRS MT15 at my local music store and was blown away. The loudest 15 watt amp I have ever tried. It is so punchy and full. The clean channel is dynamic and responds very quickly to changes in strumming. Usually I don't like the more modern sounding distortion but on this amp it works. Tons of gain on tap and doesn't get muddy. No need to resort to scooping the mids. I am currently gassing for one of these pretty bad. My only complaint is that switching to 7 watts did seem to change the character of the amp. It seemed to have more Sag or compression in 7 watt mode. The Vox MV50 line is also better than you would expect. I have the Clean model with the built in attenuator. It is great for when I don't want to lug anything heavy to practice. 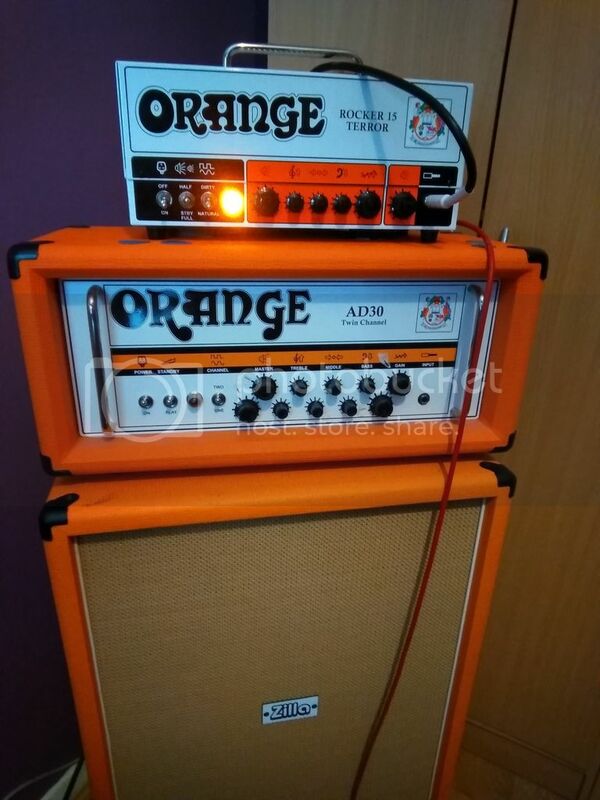 I wish Orange would make a lunch box version of the AD30 with an FX loop. My AD30TC is my favorite amp but that thing is so heavy and inconvenient.